Mumbai: Virat Kohli is one of the most loved and accomplished batsmen in the modern game. The Team India skipper has massive fan following worldwide. Not only is he one of the most feared cricketers on the field, but his charismatic personality off the field rules the hearts of millions of fans, especially female ones. 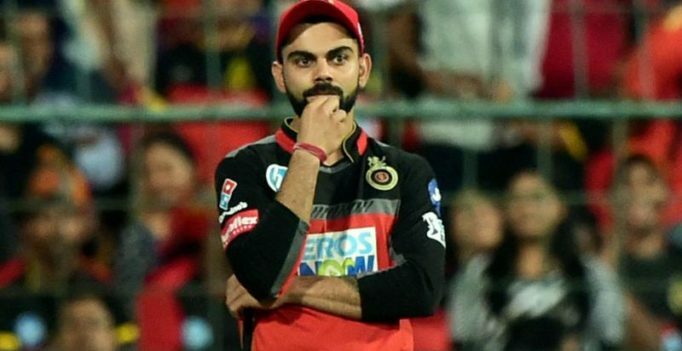 Sometimes excessive admiration can turn out to be bad experience for celebrities, In a recent interview, Kohli shared one of the most terrifying experiences he came across . “I had a letter sent to me written in blood. That was nasty. It happened quite a while back in Delhi. I was going away in my car. Pulled the window down to sign something and something popped out of nowhere. I didn’t even see who gave it to me. The name was written on it and I just gave it the security guy. I couldn’t even accept it. It was very scary,” he said in an interview to Eros Now. The Indian Premier League (IPL) brings cricketers and fans much closer to each other. The players have to travel from one city to another in space of few hours, which also gives an opportunity for fans to click picture with their favourite superstars. Virat, during the show also recalled a hilarious incident on the flight when a fan was trying to take selfie, while he was taking a nap. “I was in a flight once. It might have happened during the IPL games. I was sleeping with my headphones on and I woke up with a baby on my lap. Someone was tapping on my shoulder and there was a guy who was about to take a selfie. I had my glasses on so I think the guy might have thought that I was actually watching him but I was actually sleeping,” the 29-year-old revealed. Kohli, who is leading Royal Challengers Bangalore in IPL, is in red hot form with the bat. He has so far scored 349 in 8 games and is occupying the number 2 spot in the list of highest run-getter.